ULTRA-PRO 4-POCKET PORTFOLIO Contains 10 Ultra-Pro High Clarity Pages. Holds 40 Cards. 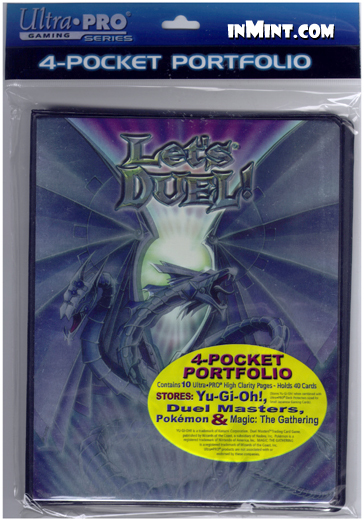 Stores: Yu-Gi-Oh!, Duel Masters, Pokemon & Magic: The Gathering. (Stores Yu-Gi-Oh! when combined with Ultra-Pro Deck Protectors sized for Small Japanese Gaming Cards).